Front End Loaders (F.E.L.) and Rear End Loaders (R.E.L.) are the steel containers used for the waste industry. Front End Loaders (commonly known as FELs) are large ‘skip-like’ containers, except instead of being exchanged or removed from site or emptied and brought back (like skips would be), they are emptied into the waste collection vehicles on site. Very much like wheelie-bins are. Front End Loaders (FELs) are designed for compactable waste at sites where wheelie-bins do not provide enough storage for waste. They are ideal for offices, shops, restaurants or any company that produces a lot of packaging or light ‘black bag’ waste, as they are quite neat, easy to load and the services are scheduled, either weekly or fortnightly, so you don’t have to worry about booking collections. Rear End Loaders (RELs) are an alternative to Front End Loaders (FELs). They are also emptied on site but look more like a conventional skip. The benefit of RELs is that they come in larger sizes and sometimes the lids can be more robust than with FELs (steel instead of polymer). They are ideal for offices, shops, restaurants or any company that produces a lot of packaging or light ‘black bag’ waste, as they are quite neat, easy to load and the services are scheduled, either weekly or fortnightly, so you don’t have to worry about booking collections. 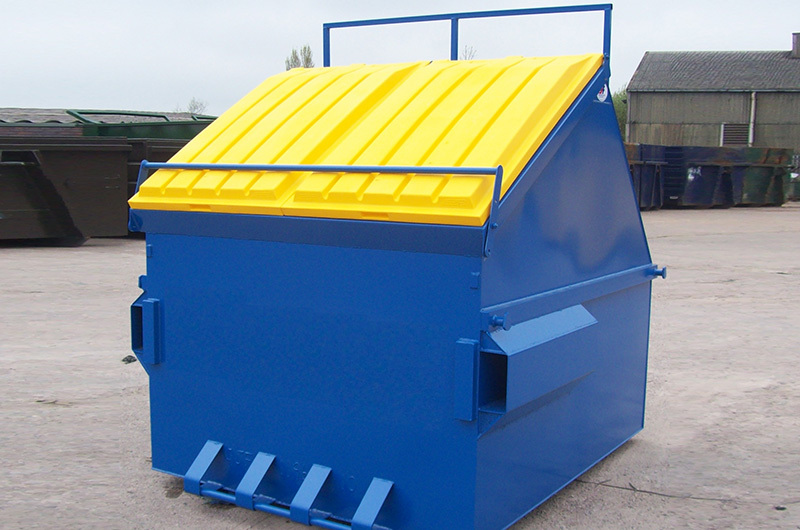 Skip lugs are the important components to fit these waste containers. They are designed and produced in closed die drop forging process. Drop Forging will involve the manipulation of material to achieve a desired skip lug shape, offering a compressed and directional grain flow to produce a stronger and more resilient skip lugs. Fly Forge manufactures and supplys a large range of drop forged components for the skip and container refurbishment industry, including Skip Lugs. Ningbo port is the forth largest harbor in the world. As the largest drop forging company in Ningbo, Fly Forge can deliver high quality drop forged skip lugs with attractive price. With an individual material warehouse, we stock numerous material types at different specifications. And, we have the capacity to purchase material in larger more economical volumes, minimising the requirement for multiple deliveries from suppliers. Our quality control is backed with our ISO 9001 registration giving us the independent checks and systems to monitor and improve our in-house performance, and giving our customers the independent quality assurance of drop forged skip lugs that they expect. Contact us now if you need drop forging service!